Purchasing an Extended Warranty or an Extended Service Contract is a big part of a used car purchase. Some customers believe they do not need any coverage and other customers will not make a purchase without extended coverage. At SMH Auto Sales we believe every customer needs to know the facts about warranty coverage and extended service contracts. The first thing customers need to know is that there are different levels of coverage. Warranty companies offer different levels of coverage because every vehicle is different and every customer has different needs. If you are purchasing a work truck with manual windows and door locks then you would not need coverage that covers power windows and power door locks. You should really just be looking to cover your engine, transmission, and 4 wheel drive. Vehicles are mechanical and things break all the time, when it is the engine or transmission it can be very costly. Who is going to pay for your repairs if you do not have coverage? When working with your dealer ask them for proof of warranty claim pay outs. Every good warranty company provides their dealer partners with records every time they pay a customers claim. If the dealer has no proof of warranty claims being paid you may want to look for a different dealer to purchase from! There are plenty of bad warranty companies out there. Have you ever received a phone call with an automated message saying that your vehicle is out of warranty? The key to purchasing an Extended Warranty or Service Contract is always at your dealership. 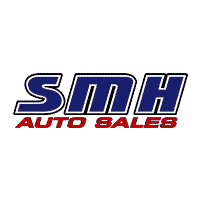 At SMH Auto Sales we partner with a company that cares about its reputation and our reputation as well. We do not want our customers angry and suffering because of a bad warranty product. We know that when purchasing a used vehicle having an Extended Warranty or Service Contract is a must. The peace of mind alone is worth the money. The only thing a customer needs to do is make sure the warranty or service contract they are purchasing actually covers the necessary parts of the vehicle they are buying. If you have Navigation you want that covered. With all the sensors and electronics on vehicles today purchasing a vehicle without any coverage is almost a guarantee that you will be stuck with higher maintenance bills!